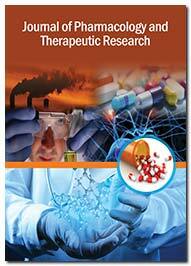 Journal of Pharmacology and Therapeutic Research is an open access, peer reviewed journal that focuses on the interdisciplinary research offering therapeutic solutions to various neurological, genetics, psychological, and respiratory issues affecting the human beings. Journal of Pharmacology and Therapeutic Research underlines the importance of pharmacology in offering novel therapeutic solutions to the public health challenges that may arise due to Pulmonary Fibrosis, Aging, Neuroinflammation and Neurodegenerative Diseases. The journal thus encourages research on therapeutic methods by including research on Pharmacogenomics, Pharmacogenetics, Pharmacology of Tissue Repair and Regeneration. Pharmacotherapeutics. It prominently discuses the reaction to the drugs such as Anti-Inflammatory Activity, Anti-diarrhoeal Activity, Signal Transduction and Receptor Pharmacology, Psychopharmacology, Neuropharmacology, Neuroendocrinology, and Regenerative Therapy. The journal also publishes research on Drug Monitoring, Schizophrenia/Drug, Antipsychotic Agents/Administration & Dosage, and Risperidone/Pharmacokinetics. The journal is a quarterly, international, fully peer-reviewed publication. The editors believe papers published to be original, of sound science, purposeful for risk analysis (valuation, communication, management) and related areas, well written (in English), and a contribution to the scientific works. The journal's emphasis is on publication of papers that contribute to improvements in human health. The journal constitutes its Editorial-Board comprising scholars from all over the world that offers their critical views on the role of pharmacology in fighting chronic health disorders.